Jarrett Culver scored 12 of his 18 points after halftime, including two punctuating dunks in the closing minutes, and No. 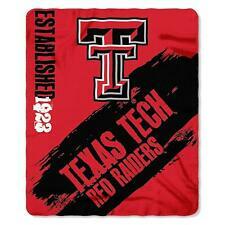 16 Texas Tech snapped a three-game Big 12 losing streak with an 84-65 win over TCU on Monday night. Kevin Samuel made Two Point Tip Shot. Kevin Samuel made Layup. Assisted by Desmond Bane. Desmond Bane made Dunk. Assisted by Alex Robinson. Desmond Bane made Three Point Jumper. Assisted by Kevin Samuel. Desmond Bane made Three Point Jumper. Assisted by Kendric Davis. Kevin Samuel made Dunk. Assisted by Kendric Davis. Tariq Owens made Three Point Jumper. Assisted by Brandone Francis. Deshawn Corprew made Jumper. Assisted by Davide Moretti. Matt Mooney made Layup. Assisted by Brandone Francis. Kyler Edwards made Three Point Jumper. Tariq Owens missed Two Point Tip Shot. Matt Mooney made Layup. Assisted by Davide Moretti. Norense Odiase made Jumper. Assisted by Davide Moretti. Tariq Owens made Three Point Jumper. Assisted by Davide Moretti. Tariq Owens made Layup. Assisted by Davide Moretti.